Genuine Smooth Dress Leather Belt. 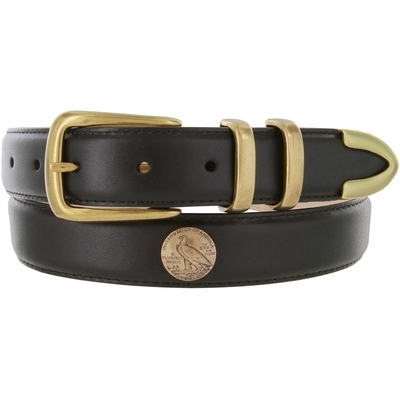 1-1/8" = 30mm wide Smooth Leather Belt with Conchos. Antiqued 4 Piece Brass Buckle Set and Eagle Coin Conchos. Feathered Stitched Edges and 7 Adjustment Holes.